The Mayor of Lima, Jorge Muñoz, is one of most excited people for the start of the greatest sports celebration in the Americas. He is 100 percent committed to the Lima 2019 Pan American Games and promises to keep working with Panam Sports and COPAL to guarantee the success of the Games. When he assumed his positIon as Mayor of the Peruvian capital, Jorge Muñoz surprised all of Peru with how he arrived to his first day of work – on bicycle. Wearing athletic clothing and a helmet, Mayor Muñoz was sure to utilize the great bike lines that can be found throughout the city. With his objective to get more Peruvians to lead healthier and more active lives, the mayor is leading by example while also demonstrating his love of sport. 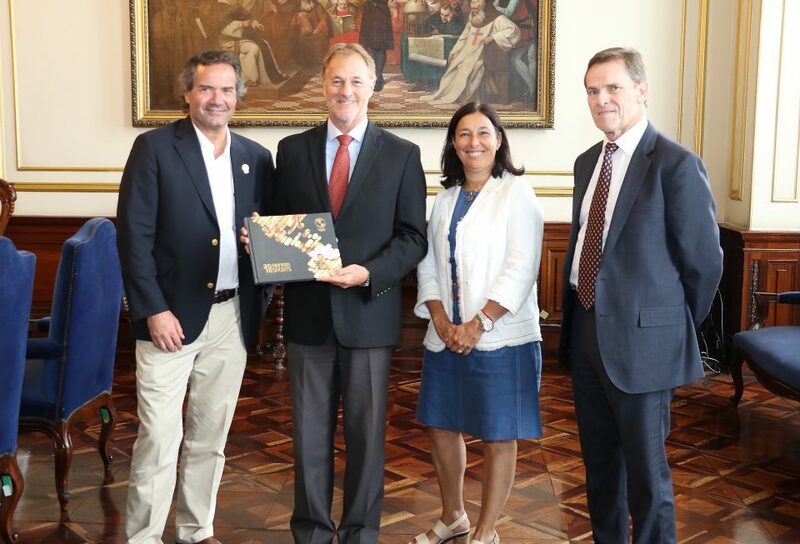 This week, Jorge Muñoz took advantage of the visit to Lima from the top sports authority of the Americas and Panam Sports President, Neven Ilic. The mayor invited President Ilic to lunch at his quarters in the iconic Plaza de Armas. It was a necessary and productive meeting which only reinforced the commitment on both sides to successfully host the 18th edition of the Pan American Games in Lima this July. We are less than six months out from the Pan American Games. How do you see Lima as far as preparations to receive more than 10,000 athletes and officials in July? What is your commitment to the Games? One of the most worrisome factors is the traffic in Lima. What do you have planned for this not to affect the quality of the Games? What measures are you taking? What is your message for the athletes, trainers, sports authorities and the thousands of people who will arrive in Lima to be part of the Pan American Games?